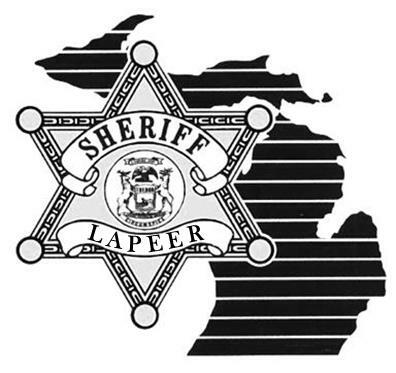 On Monday 03-02-2015 at 4:16 PM, Lapeer County Sheriff’s Deputies responded to an injury traffic crash at the intersection of Burnside Road and Brown City Road in Brown City (Burnside Township- Lapeer County). Janet Stimson age 62 from Brown City was traveling westbound on Burnside Road driving a 2004 Ford Taurus. Janet Stimson was slowing-stopping up on the roadway prior to initiating a left turn on Brown City Road. Paul Schlaud age 56 from Lapeer was traveling westbound on Burnside Road driving a 2004 Saturn Vue. Paul Schlaud approached and struck the rear of Janet Stimson’s vehicle. Both Paul Schlaud and Janet Stimson were transported to Marlette Regional Medical Center in Marlette. Paul Schlaud was treated and released. Janet Stimson was hospitalized and transferred to Beaumont Health System in Royal Oak. Janet Stimson died of injuries sustained as a result of this traffic crash on Friday 03-06-2015 during the evening hours at Beaumont Health System in Royal Oak. This fatal traffic crash currently remains under investigation by the Lapeer County Sheriff’s Office. If anyone has any information, they are requested to contact Detective Sgt. Jason Parks at 810-245-1381 or jparks@lapeercounty.org.